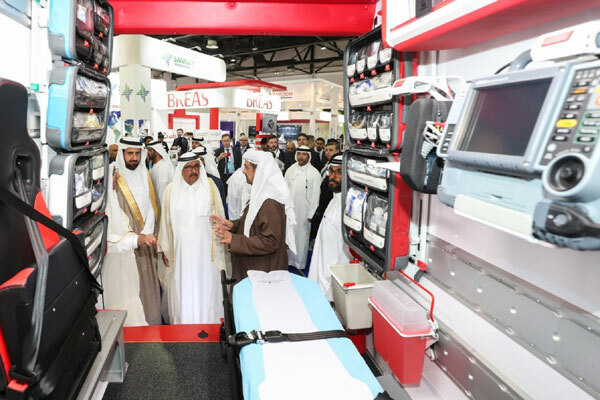 More than 84,500 healthcare and trade professionals from 160 countries and 4,150 exhibiting companies from 66 countries have convened in Dubai for the 44th edition of Arab Health Exhibition and Congress, the largest healthcare event in the Middle East. The event was officially inaugurated today by His Highness Sheikh Hamdan bin Rashed Al Maktoum, Deputy Ruler of Dubai and UAE Minister of Finance, who was also given a tour of the exhibitions. Arab Health Exhibition and Congress will run from January 28–31 at the Dubai World Trade Centre.